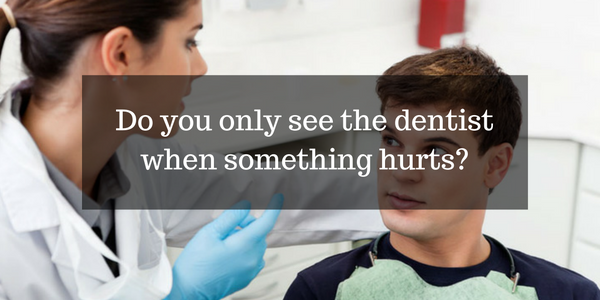 Many people will wait to see a dentist only when they have a problem tooth that can no longer be ignored. But only treating a tooth when there is an issue as a means to save money doesn’t make sense. This kind of “single tooth” dentistry costs you more in the long run. Preventative dentistry is the approach to choose to save yourself time, money and pain! Comprehensive dentistry protects your teeth for a lifetime of use. Comprehensive dentistry is like building a new house. You start with a good foundation and have the fun of adding all the design details later. It does this by getting to the root of dental problems, the actual causes, and then providing total and long-lasting solutions. 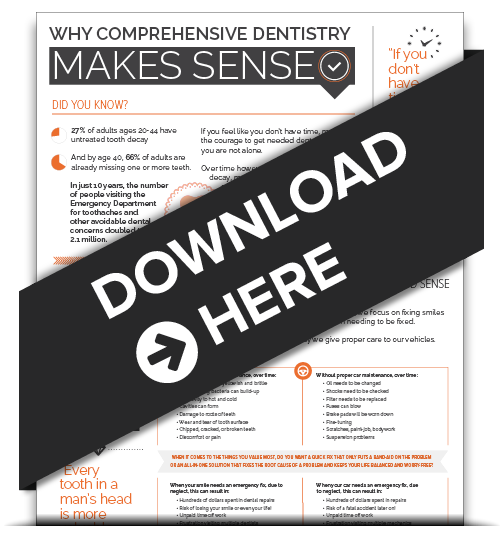 How Does Comprehensive Dentistry Save You Money? Dealing with minor issues before they become significant and costly issues is how comprehensive dentistry works. This preventative approach just makes sense, doesn’t it? Maintaining your car is more economical in the long run than having costly repair bills. And your car will run better and longer too! 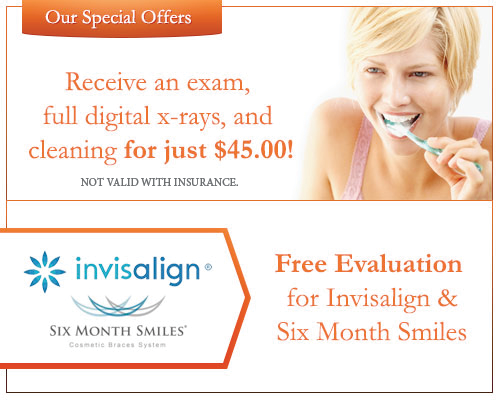 It’s much the same with a comprehensive dentistry approach to your dental care. Being proactive in your dental care is a key to your best whole-body health! Comprehensive Dentistry Makes Sense For Another Reason – Your Health! One of the most important reasons to choose a comprehensive dentistry approach is because of your health. Many studies have linked poor oral health with serious diseases such as heart disease, arthritis, and diabetes. By not maintaining your oral health, you allow bacteria to enter your system through your teeth and mouth and cause damage elsewhere. It’s been said that your oral health is a gateway to your whole-body health, and that is really true! By taking a proactive approach and maintaining good oral with regular dental treatment, you have the key to keeping your whole body in the best possible health. We hope we’ve given you some things to think about. We would love to be able to discuss this on a one-on-one basis with you. We invite you to call our office at (305) 279-9005 or contact us online today to discuss comprehensive dentistry with Miami dentist, Dr. Cascante.